Thanks for your review Nikolay. Please contact me if your interested in testing our 'product' I'm sure you will be pleasantly surprised. ECOMI’s products have potential to become mainstream. 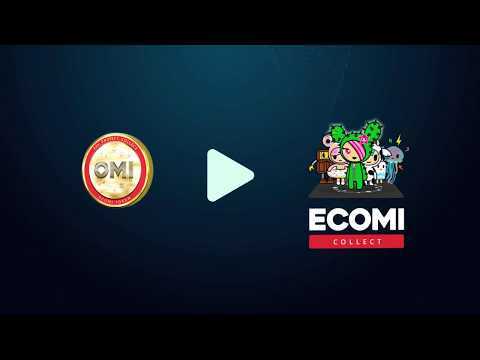 With the Secure Wallet being at the base of the ecosystem, and the ECOMI Collect being the company’s flagship product, ECOMI can possibly reach a mass market of the pop culture. The fact that the team have already seized patents for their ECOMI Collect collectables also sets them apart from many operating in the same niche. Strong team with a mix of profiles with experiences across tech, IT, blockchain development, gaming, sales, entrepreneurship and more. Over the past few months I've gotten to know the ECOMI team very well. Their team is robust and leading the space in helping bring crypto collectibles to the masses and attract new users into the cryptocurrency space. David Yu, CEO of ECOMI, is an expert in brand building and has developed innovative products that attract the masses. He's been working in the collectibles and game space for over 20 years and has the relationships necessary to only make ECOMI succeed, but become one of the most popular brands in crypto. Joseph Janik and Dan Crothers are serial entrepreneurs that have years of experience building autonomous businesses and have been very successful in the e-commerce space. Entrepreneurs that have built successful businesses in the past tend to have much higher probability of building more successful businesses in the future. - Secure Wallet which allows people to not only protect their cryptocurrency in cold/hot wallet fashion since it's very portable, but also their collectibles. - Using the secure wallet as the keystone of their project also allows them to bridge partnerships with virtually every crypto community which expands their potential user base significantly. - Their team is developing the legal and technical framework to easily allow established brands like TokiDoki and others bring their products on to the blockchain. We've seen Cryptokitties sell for $140k in live auctions. I can't imagine how much rare collectibles from large brands like Pokemon, Star Wars, etc. might sell for in the future. - Their business has a large stake in the manufacturing facility producing the Secure Wallet. - OMI tokens will have staking mechanism that rewards collectors for staking their tokens. - Branded Secure Wallets with partners have the potential to be a very attractive marketing effort for attracting new users to their platform. - Secure wallet price point is a bit high right now based on feedback I've received from other people in crypto. I'd like to see full featured wallets below around $99USD or less to provide broader adoption. - I'd like to see a more open source initiative to allow developers to more proactively work with their secure wallet. I'm not sure if this is on their roadmap or not. - Purchasing collectibles solely through the OMI token may cause too much user friction, specifically for individuals new to crypto since the process of acquiring tokens at a decent price point may be convoluted experience.